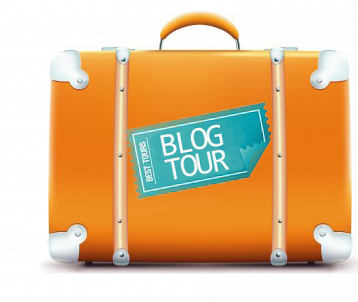 What is a blog tour? I’m not entirely sure, really, but I’m learning. To the best of my knowledge, a blog tour is made up of several “stops” at book review sites, all arranged by an online publicity service. Why am I writing about blog tours? I’m deeply fascinated by them and, purely by coincidence, my first Scarlet Ambrosia blog tour starts today. A blog tour “stop” is actually a website created by someone who loves to read and review self-published and traditionally (legacy) published books. Often, these independent book reviewers are authors themselves. They promote their own books as well as other books of interest to them. Typically, these independent book reviewers (IBRs) do not get paid to review books. They do it because it’s their passion. From what I gather, there are three ways to promote your book on an IBR site: (1) a live or written interview (2) a book review or (3) a book spotlight. I don’t know what a book spotlight is but I’ll find out soon because there’s a “spotlight” stop on my tour. Blog tours can last for a few days or a few weeks with optional bells and whistles added depending upon the amount of cash the “emerging” author is willing to pony up. I want to thank my good buddy, Joe Canzano, for introducing me to blog tours and to Sage’s Blog Tours in particular. Joe is a talented writer, musician and marketing guy. I’m sure he’s good at a few other things too. Joe has just published his new novel, Magno Girl. If you like humor, action and romance check it out. This entry was posted on June 9, 2015, 11:28 pm and is filed under Book Marketing, Book Trailer, eBook Marketing, humor, Interviews, Novels, Online Marketing, Self-Publishing. You can follow any responses to this entry through RSS 2.0. You can leave a response, or trackback from your own site. Thanks for the plug, but you’re supposed to be plugging your own book here, not mine, ha-ha. Good luck with the tour. I hope it helps a lot of people check out your awesome novel!